He received his Ph.D. in neurophysiology from Columbia University, where he studied somatic sensory mechanisms, and subsequently received postdoctoral training in motor control at the Rockefeller University and Columbia University. His laboratory in the Department of Neuroscience studies development of the motor systems and repair after brain and spinal cord injury. He also directs the medical neuroanatomy course for first year medical students at the College of Physicians and Surgeons. GREG LOMBARDO, MD, PH.D., is a child psychiatrist in private practice in Manhattan and Westchester County. He is board certified in adult, child and adolescent psychiatry and is a diplomate of the American Society of Clinical Psychopharmacology. He is highly trained and experienced in the treatment of children with bipolar disorder. His practice includes biological diagnosis, clinical psychopharmacology, and psychotherapy. He also collaborates closely with psychologists and other therapists in the treatment of children and adolescents with this disorder. JASON A. SMITH, PSY.D. Dr. Jason A. Smith has been working as a psychologist for thirteen years in a variety of settings including schools, clinical environments and mental health centers. Dr. Smith has extensive knowledge in counseling and assessment in populations such as child/adolescent, culturally disparate, typical and disabled youth and adults with mental illness. Dr. Smith received a Bachelor of Arts degree in Psychology from New York University in 1991; his Master’s degree in school psychology from Saint John’s University in May, 1996 and is a graduate of Yeshiva University’s Combined/Integrated doctoral program, May, 2006. At the Albert Ellis Institute, Dr. Smith received a post doctoral certification in Rational Emotive Behavioral Training (REBT). In addition, he participated in a project with the Harcourt Assessment Group for the re-norming of the Wechsler Individual Achievement Test (WIAT). Dr. Smith’s expertise is in assessment, crisis intervention, consultation and school psychology, with a cognitive behavior bent, and he sees young adult and adolescent patients in his private clinical practice. cardiac units has motivated her to also obtain the American Heart Association certification in treatment of hyperlipidemia (high serum cholesterol). Early on in her career it became evident to her that most of the major diseases are linked to obesity. Helping individuals to loose unwanted pounds can significantly improve the quality of their lives. REBECCA HAEUSLER, Ph.D., is a research fellow in the Department of Medicine at Columbia University, studying mechanisms of type 2 diabetes. As of 2008, the CDC estimates that 24 million Americans have diabetes, and an additional 57 million Americans have pre-diabetes. This disease is growing at an alarming rate, but it can be prevented or delayed with lifestyle changes. Dr. Haeusler completed her undergraduate training at M.I.T. and received a Ph.D. in Biological Chemistry from the University of Michigan. MICHAEL GONZALEZ WALLACE has been involved with athletic sports for over 20 years, which is almost half his age. Michael’s athletic career spans many years practicing semi-pro basketball in Spain. A graduate of the Universidad Autonoma (a top economics school in Madrid, Spain) he learned how to do research. In 2002 he earned a certification by the National Academy Sports of Medicine. 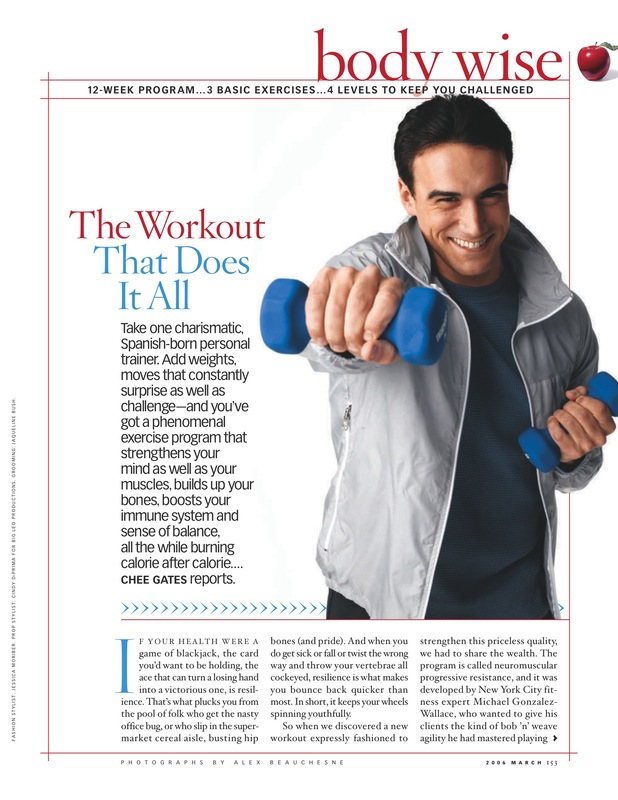 For the last six years Michael Gonzalez-Wallace has developed the acclaimed fitness program: “The Brain Muscle Workout”. The program is presented to a vast audience of viewers and readers throughout USA. Several doctors have endorsed the Brain Muscle Workout program and Michael has received an award from a US Governor. Currently he is implementing the program in schools to fight child obesity and improve motor skills. Several clinics have requested his program as well. In 1991, Ava Diamond began her psychotherapy career with adolescents and adults seeking recovery from addictions and traumas. She combined her Masters degree education in Clinical Social Work at Columbia University with her naturally intuitive and creative approach to develop clinical and educational expertise that allowed her to witness success in over a thousand lives to date. Currently, she is the Clinical Supervisor of a substance abuse treatment program developed by Yale Child Study Center. Her thriving private practice in New Canaan, CT, offers a cutting edge concierge treatment model of service that integrates customized therapeutic plans that include individual and group therapies, education, medication management, nutritional counseling, and an expanded mind:body fitness program for those recovering from addiction and mood disorders. With the merging of her two professions (psychotherapist and athlete), Ms. Diamond has developed a nationally recognized mental prep coaching program and serves clients throughout the country. Presently, she is on staff providing community education and patient psychotherapy support with InBalance Health in Manhattan, Hartsdale, Greenwich, and Wilton, CT.
6 out of 10 People in the US, Canada and Europe are Over weight, so losign weight has become the most important goal for many around the globe. If someone is a lazy slob who wants a ‘magic pill’ to give him a fabulous bpdy, that will always remain as a dream. Pretty nice blog you’ve got here. Thanks for it. I like such themes and everything that is connected to them. I would like to read more soon. I’m new here and came to superbodysuperbrainblog.wordpress.com from search engine. 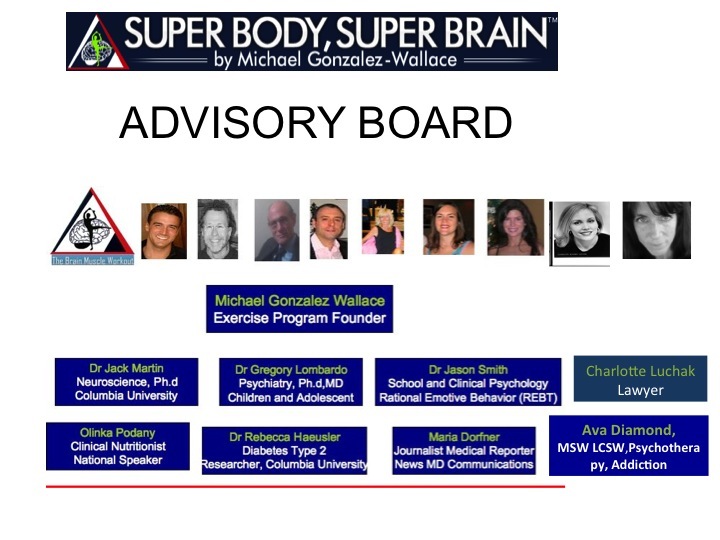 I really think this community superbodysuperbrainblog.wordpress.com was great and nice to be here. 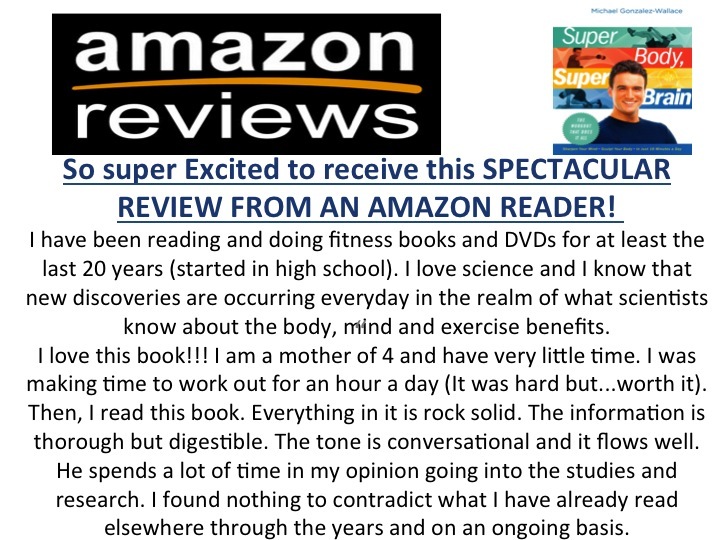 thanks for your post, please feel free to post your comments or look for my group in Facebook: Super Body, Super Brain…Thanks for your comment! Thx for useful info. Keep up the good work. I’ll be returning soon. Damn, indeed interesting topic. Where will I find this subscription? Hi, can I buy advertising on this site? I discovered your weblog website on google and verify just a few of your early posts. Proceed to maintain up the excellent operate. I just additional up your RSS feed to my MSN Information Reader. Searching for ahead to reading extra from you afterward!? I’d really like to we appreciate you your time and efforts you have made in some recoverable format this website. I hope the same good work on your part when you need it also. In truth your great writing abilities has helped me to get started my personal blog. Really the blogging is spreading its wings rapidly. Your posting is a fine type of it. I simply wanted to construct a simple word in order to appreciate you for these awesome hints you are sharing at this website. My long internet research has at the end been paid with good quality ideas to talk about with my family and friends. I would assert that we website visitors are very lucky to be in a very good site with so many perfect individuals with very beneficial ideas. I feel somewhat happy to have used the web page and look forward to plenty of more amazing times reading here. Thanks a lot once more for everything. I have had a compromise in my security and for that purpose I want to change my yahoo id and the entire content material of my yahoo 360 blog to a different on yahoo Three hundred and sixty itself. I would like to complete the same for my personal flickr photos too. There are definitely quite a lot of details like that to take into consideration. That is a nice point to bring up.